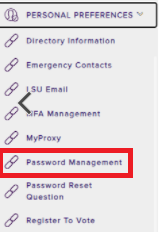 Every 60 or 180 days, depending on the strength of your password, your MyLSU password will expire. This feature exists to ensure security in your account. 1. 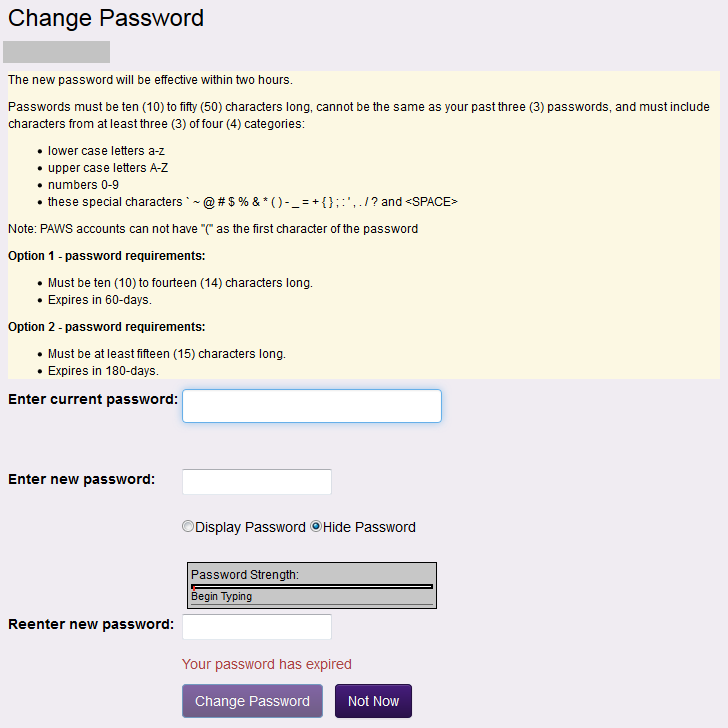 Upon logging in successfully, if your password has expired, or is about to expire, you will be taken to the Change Password page where you can set a new password. You will be asked to Enter current password, Enter new password, and Reenter new password. The Allowed Special Characters depends on the account. Open the myLSU Portal (my.lsu.edu). Select the Personal Preferences menu, then click Password Management. 2. After entering your current (old) and new password, click Change Password at the bottom of the page. 3. You will be notified of your password change once you have submitted it.